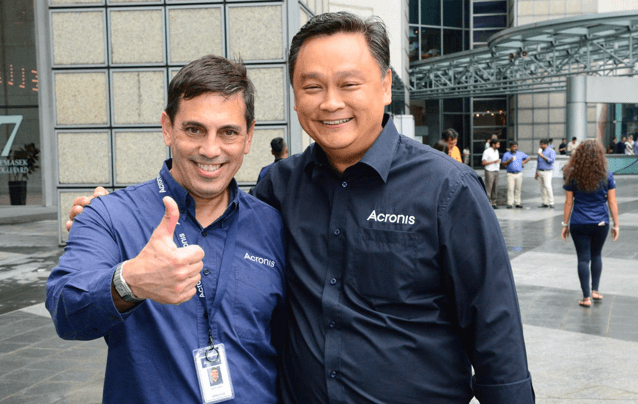 Acronis spun off as a separate company from Parallels in Singapore. Opened U.S. office in San Francisco, CA and started distribution in Japan and Germany. Released Acronis True Image 7.0, a single solution to protect all the data, applications and systems of a workstation. Earned its first two Editor’s Choice Awards from PC Magazine for its data protection solutions. Released Acronis True Image Server to add complete server data protection, doubling the company’s revenues. 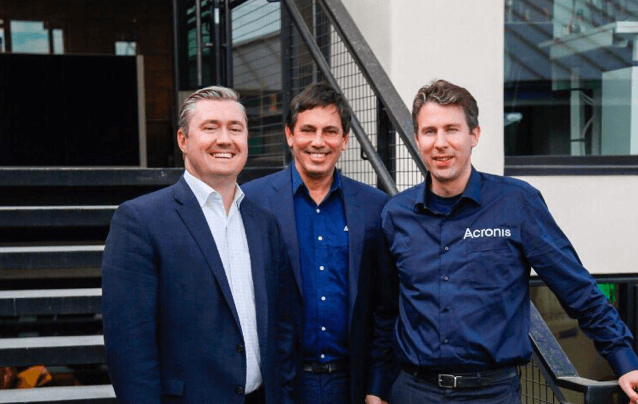 Insight Venture Partners invest in Acronis. Hit 80 partners reselling Acronis products, which were available in 12 languages in 18 countries, delivering easy and reliable data protection to local markets. Entered the Enterprise market with Acronis True Image Enterprise Server, which tripled the company’s revenues. Built Acronis Europe to more efficiently serve local markets, opening Paris and Brussel offices. Acquired German software distributor PEZ and integrated teams to increase efficiency in Germany-Austria-Switzerland region. Relocated U.S. office to Burlington, MA where it is presently located. Reached $100 million in revenues. Named a CRN Emerging Tech Vendor for easy, efficient and reliable data protection. Increased regional efficiency, opening offices in Australia, Spain, Britain, Italy, and Sweden. Moved Corporate Headquarters to Switzerland, a country that supports safety, security, authenticity, privacy, and accessibility. Added more workloads to increase reliability and efficiency of data protection: Microsoft SQL Server, Oracle and Microsoft Exchange. Named a Rising Star on Deloitte's 2008 Technology Fast 500. Opened an office in Japan to increase efficiency in a local market with high demand for easy and reliable data protection. Second consecutive year on Inc. 5000 list of fastest growing private companies, and reached #130 on Inc. Fast 500 list. Released Acronis True Image Home 2011 with capability to recovery to dissimilar hardware, making data protection easier and more reliable. Launched multiple OEM partnerships with Intel, Western Digital, Seagate, Micron, and PNY. Released an easy and efficient integrated disaster recovery and data protection solution for virtual machines – Acronis vmProtect. Acronis and Red Hat partner around enterprise data protection for virtualized environments to increase reliability of data protection in virtualized environments. Selected as Red Herring Top 100 Europe Winner, and included in Gartner Enterprise Backup & Recovery Magic Quadrant. Acquired GroupLogic with file sync and share solution to add accessibility and private capabilities to data protection solution. 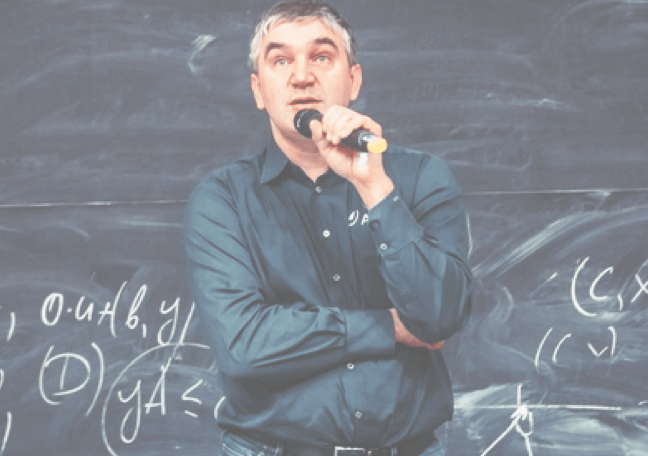 Singaporean citizen and company founder Serguei Beloussov comes on board as CEO, designing a new company strategy with products based on hybrid cloud architecture, enabling easier, more reliable and more efficient data protection. Named First in Quality and Reliability Categories for 2013 Storage Magazine Quality Awards for data protection. Launched Acronis Labs to develop more efficient, secure and private solutions. 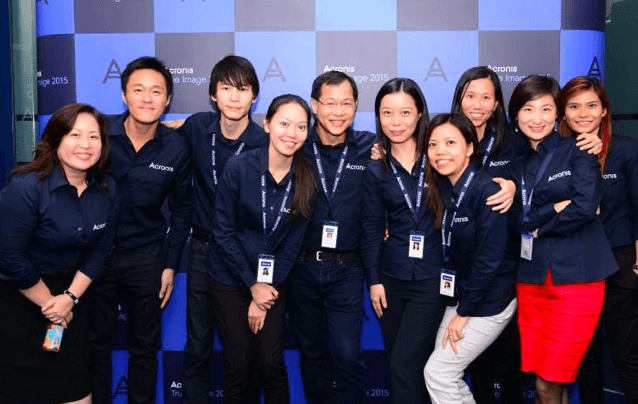 Officially opened Acronis International HQ and R&D Center in Singapore, a country that supports, security, authenticity, privacy, and accessibility. Released its cloud data protection solution for service providers, giving customers the freedom of choice of where to store their data. Acquired nScaled and BackupAgent to increase the efficiency and reliability of data protection solution. Introduced hybrid cloud architecture in all products, enabling freedom of choice for customers to store data locally, in the cloud and in hybrid scenarios, including Acronis, partners’ and customer’s data centers. Delivered the industry’s most complete data protection platform powered by Acronis AnyData Engine, allowing data to be secure, safe, accessible, and private. Recognized as a challenger in first-ever Gartner Magic Quadrant for Disaster Recovery as a Service. Began technology partnership with Formula 1, delivering easy, reliable and efficient data protection to motorsport environment. Released Acronis Backup 12, proven to be twice as fast as the closest competitor by independent research firm, and the most efficient data protection solution. Expanded the number of protected workloads with data protection for social media and mobile devices, improving efficiency and reliability of data protection across platforms. Launched Acronis True Image 2017 New Generation, a personal backup solution with anti-ransomware and blockchain-based capabilities, enabling additional security and authenticity for protected data. Released Acronis Backup 12.5 Advanced, an easy, efficient and reliable data protection solution for large businesses. Opened an office in Scottsdale, AZ, increasing efficiency in the fast-growing U.S. market. Established the Acronis Foundation, a non-profit organization that supports knowledge and education initiatives worldwide. Launched a free AI-based anti-ransomware product to protect the data of all users. Partnered with leading cloud hyperscalers to provide freedom of choice of cloud storage options. Acronis is a global leader in cyber protection and hybrid cloud storage. 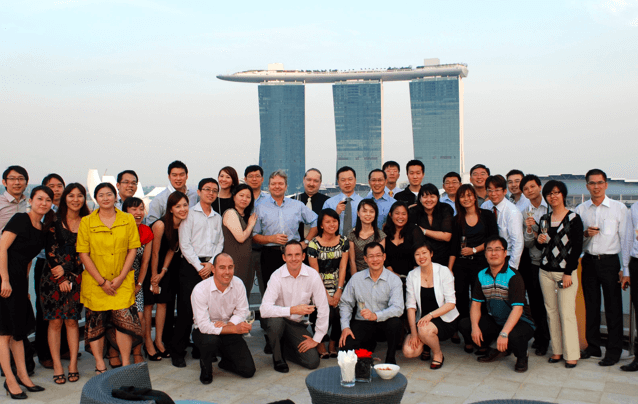 Founded in Singapore in 2003, the company now operates from local offices in 18 different countries, with International Headquarters in Singapore and Corporate Headquarters in Switzerland. Acronis sets the standard for total cyber protection with its backup, anti-ransomware, disaster recovery, and secure file sync and share solutions. Powered by the Acronis AnyData Engine, artificial intelligence-based ransomware defense, blockchain-based data certification, and more than 100 patents, it delivers easy, complete and affordable cyber protection across any environment—virtual, physical, cloud and mobile. More than 5 million consumers and 500,000 businesses in over 145 countries trust Acronis to protect their data. SubmitYour kind words almost submittedYour kind words are submitted! We appreciate your well wishes, congratulations and compliments. If you have additional thoughts you’d like to share regarding Acronis, we’d love to hear them. My company is totally depending on it, every day for all backups. And it has already saved us from disasters. 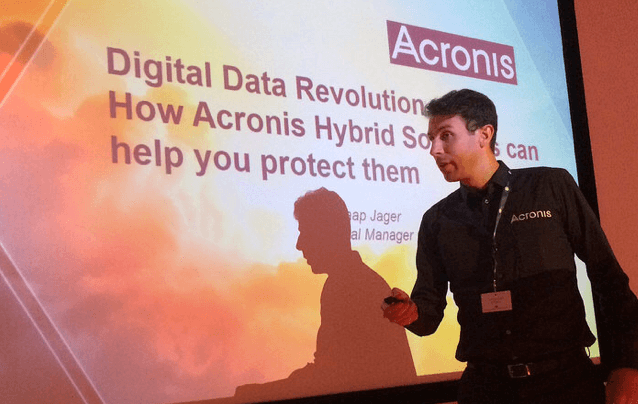 With the "True Image Home" Linux unit placed outside Windows, Acronis has developed an extremely rare kind of software - a totally stable, bugfree and perfect ("vollendet ") program, on the same level of trustworthiness as the control software of an Airbus. There is only one problem - since it is already perfect we have not needed new versions. But we are thinking about start buying updates just to support your awesome and super-skilled company, and to ensure you will be around and prosperous also in the future when entirely new solutions may be needed for backups. So, sincere congrats and a wish for many fantastic years to come. Data is one of the most important things in our lives and in racing. And every year data is increasing and becoming more important. This is where Acronis cyber protection is a big help and will be a greater help in the years to come. 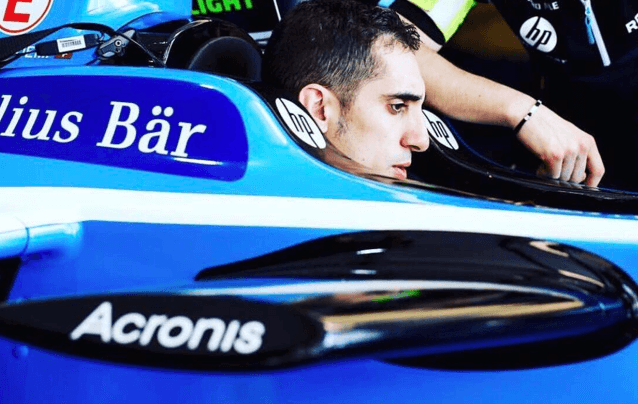 Acronis has become part of our world in Formula E and Formula 1. 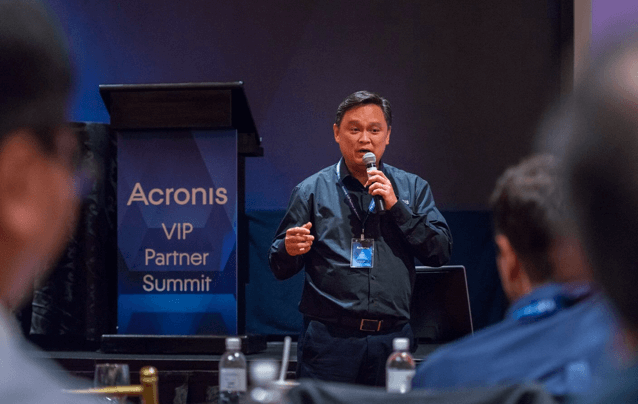 Acronis is a strong company — something that’s very important because we need to be certain that our data will be safe in the future. Congratulations on your 15-year anniversary and thank you for being a partner with us this year. Congratulations on your 15 years anniversary! I have been using Acronis products for many for backing up and restoring data. Many times the backups and disk images I created with Acronis saved my data and lots of time I would have otherwise have spent reinstalling and configuring my machines. I love Acronis! Please keep up the excellent job you are doing and you will have me as a customer for life! 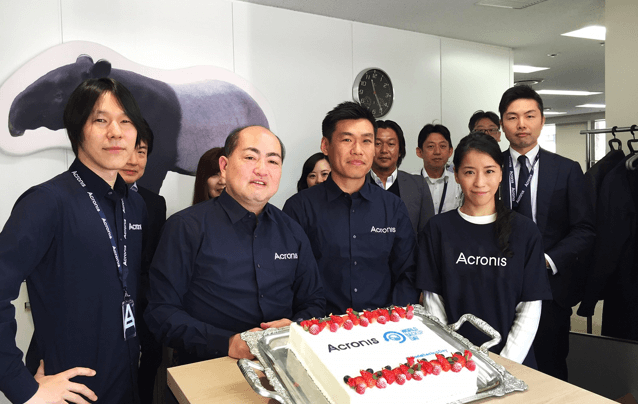 Congratulations Acronis for your 15 anniversary. I believe Acronis is a great business, and I identify with Acronis philosophy. You have done an extraordinary product with Acronis software and Acronis services for data protection. My wish for many years of innovation and future successful. which is revolving clearly as the time goes on with the challenges. Addressing data protection along with the security is one of golden key making this product so special. 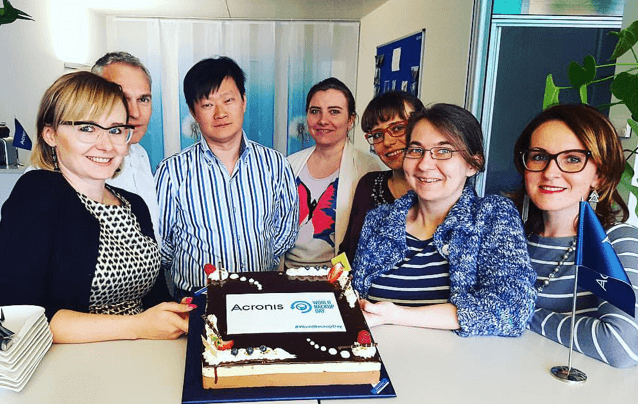 On behalf of all at Williams, I would like to send a big congratulations to our partner Acronis on their 15th year anniversary! Technology is at the forefront of everything we do, and Acronis has helped us deliver practical solutions throughout this 2018 season. Our common goals of speed, innovation and technology continue to unite us and I look forward to seeing our partnership develop. 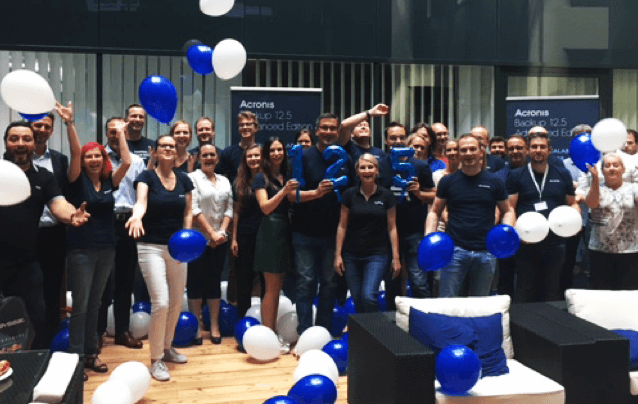 Here’s to wishing Acronis the very best for the next 15 years. On behalf of everybody at Sahara Force India, I would like to send our best wishes to Acronis as they celebrate their 15th anniversary. They are one of our important technical partners and provide valuable data protection support. We have already celebrated a podium finish together in Baku earlier this year and we look forward to celebrating more successful results during the rest of the season. Been a long time user of various Acronis products and finally switched over to Acronis Backup a year ago with no regrets! Absolutely love your products, the support that your tech team provides, and all the training documentation and videos you provide. 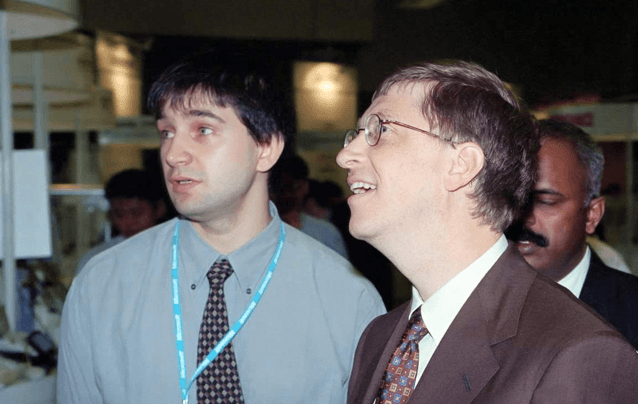 Cheers to your success and forward to another 15+ years of being with you! In both instances a full operating computer was restored in just a few hours. Used your backup to restore my computer when the C drive failed. Another time when a computer repair error fried the motherboard. Thank you Acronis for the very innovative last years. It is still magnificent how much ideas you all have up your sleeves which solves important customer needs. I am very happy to see what will be the next steps until you reach adulthood. So I wish you all the best for your 15th anniversary. The TEAM Acronis of TAD-IT & SERVICES, is proud to be part of the Acronis family. Who over the years has gone from innovations to innovations. 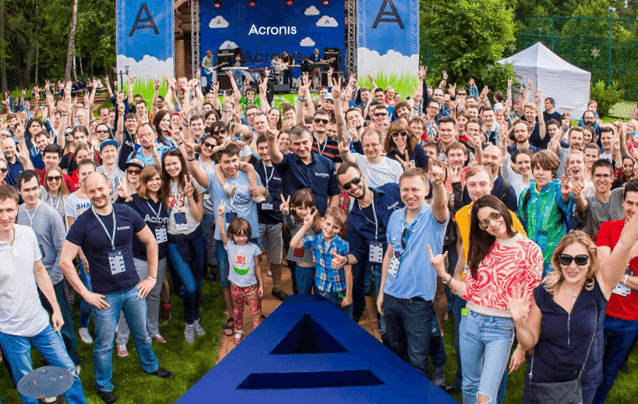 That this race for innovation that drives Acronis teams, including partners and customers, continues for years to come. Happy Birthday. Your growth is well deserved and thank you for your educative marketing and knowledge sharing about data protection. Good luck for the coming 15 years! Protection of student data means serving clients who are just about learning and being aware of privacy. Over the years working with Acronis and the team has been a pleasure. of keeping the world backed-up, and secure. I look forward to seeing what magic happens over the next 15! and of course for the last 9 years we already work together. It was a very nice, funny, interesting and educational time. Best wishes!!! I've used multiple Acronis products over the years, and I will continue to do so. Your commitment to making quality software has made me a customer for life. Wish Acronis all the best for completing 15 years. My association with the brand Acronis is also a decade old. Amazing product line up and highly professional team under the leadership of CEO. 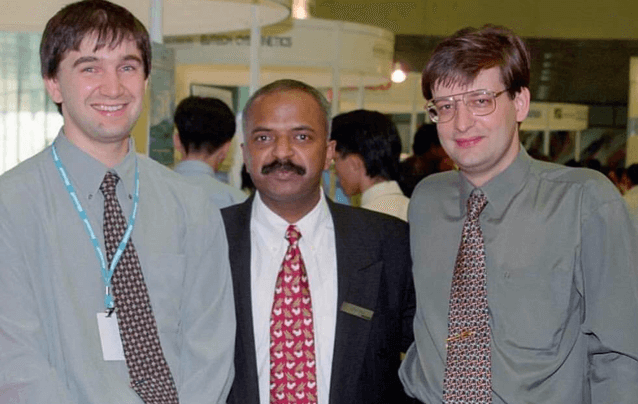 Congratulations on 15 years look forward to many more great products & ideas from the team. I've been using your products for 12 years now & i cannot speak highly enough of the quality of the service & support given over the years. Well Done! Acronis is a great product and company. I have been a user since 2011, when introduced to the product through my Western Digital hard drive. I have used your paid support service to restore a PC. The support service is very important to me. Plaase keep your first passion forever! Thanks a lot for your Awesome service for years. Really love your product always been life saver. My hearty Congratulations for completing 15yrs... Many more years to go!!! Congrats on restoring my system to an earlier (saved) time when needed. Congrats Acronis. We always be believe to the Acronis protection. Congratulations on 15 years of hard work and great success! This is best backup tool I´ve ever tried. 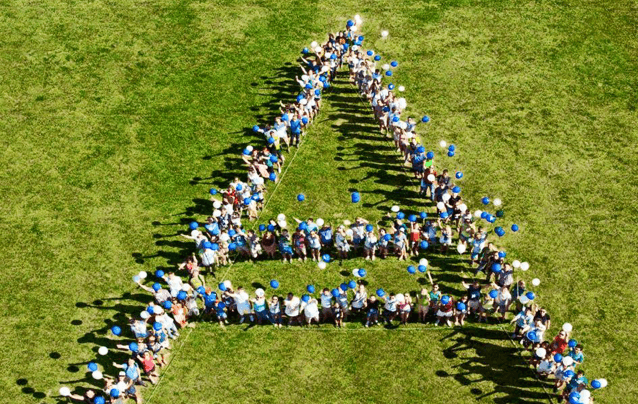 Congrats for this 15 years and so on!! Congratulations to your 15 years anniversary. All the best for the future. I have used your product for several years now. It's the best. Also a lifesaver! Van harte gefeliciteerd met dit jubileum jaar. A great product. Does what it says it does with a minimum amount of effort. Well documented. Gives peace of mind. Congrats on your 15 year anniversary! 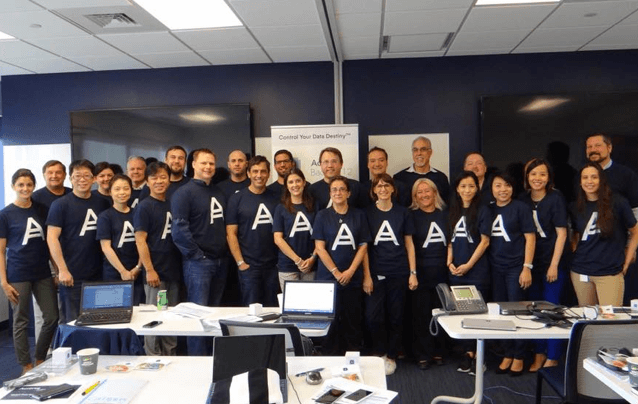 Keep up the amazing work you and your team are doing with your Acronis products! 15 years is a great milestone. I have looked back and can find serial numbers for my True Image Deluxe and 7.0! Keep up the great work! I have been using Acronis backup software since 2016 for my home PC and really I am in love with this...it gives me a complete peace of mind. Congratulations on your success. Thank you for making such good backup and recovery tools! Congrats! Keep up the amazing work. Your products have made my life much easier for many years! I am using acronis for the last 10 year, it save my time, low cost and get job done! Still the best drive image software! Congrats! Congratulations for providing a good service up to this far. I am glad to associate with Acronis from last 11 from India and along with Acronis we are growing. Go on... This is the right way you are going to. Congrats on 15 years of a really good product. Excellent work! You never let me down. Many congratulations for completing 15 years. Congratulations! Your products are awesome! Congratulations on 15 years of success! !